In the ongoing saga of the utterly corrupt leadership of Sovereign Grace Ministries we have more shocking news! 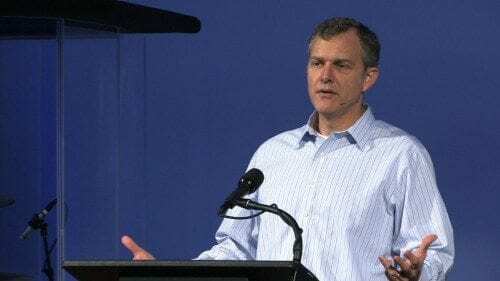 In what was a stunning revelation to me, Brent Detwiler, in his latest blog post, revealed that Mark Prater, Executive Director for Sovereign Grace and an elder at Covenant Fellowship Church, held a lucrative job with Wyeth Pharmaceuticals prior to being recruited by Dave Harvey in order to start Providence Church in Pittsburgh in 1996. At that time Dave Harvey was one of the “king makers” in Sovereign Grace Ministries. Harvey later would serve a short time as the leader for Sovereign Grace Ministries as C.J. Mahaney had to resign under the cloud of covering up sexual abuse of children while he led the ministry. Dave Harvey himself soon followed the path of Mahaney, stepping down from his position under questionable circumstances, and has since fled Sovereign Grace Ministries for greener pastures. “Faced with tens of thousands of lawsuits from injured women, the original manufacturer, Wyeth-Aherst, in 2002 reached an out-of-court settlement with the victims. That same year it took Norplant I off the market in the U.S., in an obvious effort to stem the financial hemorrhaging caused by the lawsuits. I find this deeply troubling. The Apostle Paul, prior to his conversion, persecuted the church and personally arrested and put to death many Christians. After his stunning encounter with Christ on the road to Damascus he was saved. Another great saint, John Newton, was a slave trader prior to his conversion. It is clear God can and does use men who have been saved out of terribly sinful pasts. That said, I think Mark Prater owes an explanation to the church. When did Prater become a Christian? Was he saved while employed at Wyeth Pharmaceuticals? If so, how can he justify his line of work? Was he converted while employed at Wyeth Pharmaceuticals and subsequently convicted that to preserve his testimony as a Believer he needed to quit his job? If this was the case I would have no problem with Prater moving on to become a preacher. IF not, and he has never seen anything wrong with working for Wyeth Pharmaceuticals, never repented, and just simply transitioned from a PR man for an abortifacient drug company to the Christian ministry I would take issue with the man being involved in any type of leadership role in the church. I am unsure of the situation, but Prater needs to come clean on this. Below is a brief description of NORPLANT. I would encourage you to read the whole story at the link provided. For decades, the popcon fanatics have dreamed about a mass means of neutering minority women that would be quick, efficient, and private. And the concept of a “safe and handy” abortifacient is certainly nothing new. A quarter-century ago, Garrett Hardin and other population theorists fantasized that the dominant “contraceptive” of the future would be an efficient abortifacient pill. It appears that the science genie has finally granted the population controller’s wish. The United States Food and Drug Administration (FDA) approved the abortifacient “contraceptive” NORPLANT for public use on December 10, 1990. The Power Behind the Plan. The ominously-named Population Council (founded by population control fanatic John Rockefeller III) owns the patent for NORPLANT, which was developed by embryologist Sheldon Segal of the Rockefeller Foundation. The Population Council will reap four percent of the colossal profits that will accrue from the use of the drug. The abortifacient is produced by Wyeth-Ayerst Laboratories of Philadelphia, a subsidiary of American Home Products, and will cost women about $500 to produce about five years of barrenness. THE NUTS AND BOLTS OF NORPLANT. The NORPLANT carrier consists of six small tubes about the size of matchsticks. These tubes are made of silastic (silicone rubber), the same material used in heart valves and medical tubing. The insertion procedure is performed by a clinician, who makes a 1/8-inch incision about six inches above the woman’s elbow. The capsules are then loaded one by one into her arm in a fan-shaped pattern using an insertion tube. Local anesthetic is used for both the implantation and extraction procedures. The removal of the six tubes will be tricker than implantation in many cases, because they become coated with fibrous tissue and gradually anchor into the surrounding tissue. This is a result of trauma caused by the implants being pushed into the tissue and a low-scale inflammatory reaction to the tube’s foreign substance. Once implanted, the six NORPLANT carrier capsules slowly release the drug levonorgestrel (low-dosage progestin), an abortifacient that prevents implantation of the developing human being (blastocyst) in the uterus. The initial rate of progestin release is 100 micrograms per day. This rate gradually declines to 30 micrograms per day after 27 months, and then levels out. One major study showed that NORPLANT may reduce but not inhibit sperm migration by thickening cervical mucus, thus allowing fertilization to take place. Another test of 41 women using NORPLANT for a period of one year showed that 24 women experienced a suppressed uterine lining, 12 had an irregular uterine lining, and only five had normal (unchanged) uterine linings. Thus, NORPLANT had a clearly abortifacient effect in 70 percent of the women tested. This means that a woman being used by NORPLANT will continue to ovulate, and will therefore be blissfully unaware that she is aborting at least once or twice each year. Indeed. Pray for the whole denomination! Yes, most birth control pills prevent conception as their first line of defense, but they ALL have a hormonal component that prevents the uterine lining from being able to host and nourish a fertilized egg, thus causing the destruction of created life. The pills prevent the thickening of the uterine lining, which provides nourishment to the fertilized egg. This is a back-up feature, but it happens often. How many babies should a Christian be willing to destroy? What statistic should we be comfortable with? It is my firm belief that prolife Christians using hormonal birth control methods, kill their babies by the millions….probably more than all than those seeking abortions at clinics combined. Most often, this is due to ignorance. The Church needs to speak up on this issue…but Church leadership fears alienating folks. Thanks for your comments Sheryl. I appreciate them because this is definitely not an area I am well versed in. I’ve never posted on this blog or any other forum regarding SGM. I do want to address the issue and definition of an abortifacient. Most prolife people would consider life to begin at conception, when the sperm meets the egg and all DNA is present from both mother and father. Norplant, and all hormonal types of birth control including the popular birth control pill, have a hormonal component that causes the uterine wall lining to be hostile to the fertilized egg. This makes implantation of the fertilized egg (which is life) near impossible. Millions of prolife Christians kill their unborn when they use birth control pills…and Norplant type devices. Any birth control that does not PREVENT conception is an abortifacient. This is not completely accurate…most birth control pills prevent conception by keeping a woman’s body from releasing an egg. 1) Mark Prater should be able to stand up for himself. If he thinks Brent Detwiler has slandered him then let him say so directly. 2) 5years in PDI has unapologetic-ally slandered Brent many times and has a reputation for bullying people on several blogs. He/she/it should not be calling anyone else slimy. 2) You’ve criticized Brent Detwiler for his assertions about Mark Prater’s history at Wyeth/impugned his integrity but you haven’t provided references for your defense of Mark Prater. In that sense, I think you’re being hypocritical. Why is your opinion of Prater more valid than Brent Detwiler’s opinion of him? Based on Mark Prater’s behavior to date, which, to my knowledge, has included authorizing the public maligning of Brent Detwiler on the SGM website’s homepage, I doubt he left a lucrative career to become a Pastor. I suspect he was fired by Wyeth and concocted that story. 3) People at Survivors are constantly whining that Brent doesn’t allow comments on his blog so they can’t communicate with him.. That is BS. You can post anonymously but, in my opinion, you need to stand behind what you say with your real name if you want to be taken seriously. Brent Detwiler has always responded to e-mails or Facebook posts. The kicker is you need to be willing to use your real name to correspond with him. If you want a seat at the grown-up table then stand behind what you say. Thanks for your post Janna. I fail to understand all the animosity demonstrated by numerous individuals towards Brent Detwiler whenever his name comes up on SGM Survivors. I have never personally met Brent, but have had numerous exchanges with him via email. I have always found him to be sincere and truthful. I was a member of an SGM church in Gilbert, AZ for about 5 years so I understand much of their culture. Their leaders are not perfect but, with the exceptions of Brent Detwiler and Joshua Harris, I have seen very few admit this or seek forgiveness from those they have hurt. From what I have seen Brent has encouraged anyone with a grievance towards him to contact him. It seems to me he has sincerely attempted to do the right thing. I thank God the man has come out with all the evidence against Mahaney and his cohorts. Detwiler has undoubtedly suffered much because of this. I support the man. The animosity I feel towards Brent (and I suspect the same for others) is the fact that he propped up CJ Mahaney for decades and allowed him to continue in major deceptions that Brent was aware of but refused to go public. Brent, by many who were under him, was stern and abusive but refuses to seriously engage those that have reached out to him about his abuses towards those he personally damaged. Lastly, when he first came on the Survivors site, he was dismissive and rude to those of us who had been speaking out for years against SGM and it’s abuse. He didn’t come on and confess his role, or thank us for support or anything…he came in with his apostolic, holier than thou attitude and it was offensive. Here was a man who could document in private the crimes and abuses of CJ Mahaney for almost a decade, but said nothing in public until someone else leaked his documents for the world to see. While I agree with much that Brent has written, I do not think him brave. I’ve yet to see any real apology from Brent for his personal enabling of CJ Mahaney and the abusive system that Brent fully participated in his time as a pastor and apostle. My two cents for what it’s worth…………. christianagnostic – First of all let me publicly thank you for speaking out against the abuse at SGM. I may have never publicly thanked you and numerous others who have been long and loyal participants in this just cause. I don’t comment that often on the Survivors blog, nor have I or anybody in my family been sexually abused at an SGM church. I did experience some heavy-handed, hot-headed counseling from an assistant pastor at Gilbert concerning care groups. This assistant pastor was later promoted to a senior pastor’s job in the Denver area. You can do some detective work and easily discover whom I am speaking about if you feel so inclined. I was not the only individual “roughed up” by this man, so it speaks volumes to the SGM culture that he was promoted. We left shortly after our little counseling session. If you had asked me what I thought of SGM at any point in my first 4 years of attendance I would have given you a ringing endorsement. I think the blinders began to come off slowly for me and I then began to question things, culminating with quitting the SGM “family” after about 5 years. I knew next to nothing about the politics within the SGM leadership, nor was I familiar with any of the national leaders. I believe Brent would admit that he was heavy-handed in the past and I have seen comments he made on Survivors where he apologized for that and asked people to contact him so he could attempt to right wrongs. It is obvious that you are not satisfied with that. I make no judgments on your feelings, only suggest that you contact him, even meet him face to face. It may be helpful. Perhaps you already have. In defense of Brent to your charge of propping up C.J. – again, I speak as someone totally ignorant of the situation – but I could speculate that initially Brent was a gung-ho member of leadership, just as I was of my SGM church, but then the blinders slowly came off. From what Brent wrote it seems he went to great lengths to privately attempt to reign C.J. in, and then he enlisted others in the inner circle to help, but to no avail. Finally he sent the documents out to all the SGM pastors and they were subsequently leaked. I think Brent acted correctly. We are all flawed humans but I hope I can always forgive somebody who asks for it, and I hope they do the same for me. I still think if C.J. would repent people would forgive him. I would. That doesn’t mean that I think he should continue in the ministry, because I don’t believe he should. thanks…I appreciate this whole conversation. I actually don’t read or comment that much anymore over at Survivors. If I could do it again, I would have published my comment without my accusations of Brent being vindictive and arrogant. Not to make it excuses, but it was late and I just blurted out exactly what I was thinking. But, I can’t possibly know Brent’s motives and I acknowledge that he has done some good since leaving SGM. Thanks also for sharing a little of your story, I didn’t know what your own involvement was with SGM other than your recent events in Dubai. Having been a gung-ho member myself, I know exactly how that goes. It seems roughing up members was a common thing back in the day…I am sorry you endured this. Thanks for your kind comments christianagnostic. Do you live in the D.C. area? I would love to meet you. I will be there at the end of the month and the kind ladies from The Wartburg Watch, along with a few of their blog friends, and I are going to get together. If you care to join us let me know. It would be nice to chat. We probably have much in common! For now, you all will just have to be my blog friends…. Bummer, but yes, look forward to more conversations in the future. 2) I am not 5years, I merely acknowledged that I thought her use of the word slimey was exactly how I felt when I read his tenuous speculation that Mark must have known that the Norplant was an abortificant. 2 ?) My opinion of Mark is based on the fact that my wife and I considered Mark and his wife our best friends. We followed them to Pittsburgh to help plant the PDI/SGM church in that city. I also knew at least 4 other employees from Wyeth at that time. He most certainly was not fired, and was well liked by the folks that I knew who worked with him. 3)Janna- I personally think it’s BS to post controversial information on the internet and not allow for open and transparent discussion. Brent’s insistence of knowing a person’s name or only communicating in private (while he communicates broadly) is a form of control that I do not appreciate. I think it’s hypocritical. As for using my real name, I have honored my wife’s request not to use it, because she does not want to ever have to deal with anyone from our whole time at SGM. I honestly find your attitude to be insulting. But it’s your opinion and your entitled to it. I think most people are able to benefit from others writings, even if it is done anonymously. I normally appreciate your analysis and have even re-blogged your articles from time to time…but Brent is dead wrong and his implying that Mark “knew” it was an abortificant is a lie in my opinion. I’ll repost here what I just posted at Survivors….please consider taking this post down, it does nothing to help those of us who have been abused by SGM and leaders like Prater. “I am not a fan of how Mark Prater has handled himself, but I knew Mark and his family, went on the Pittsburgh church plant, and eventually left after a falling out with with Mark and his family over polity and authority structure in PDI/SGM. While it’s true Mark worked for Wyeth, it is not true that Mark knowingly sold these implants knowingly as an abortificant. They were originally sold as an implantable birth control and then it was recalled after further study. 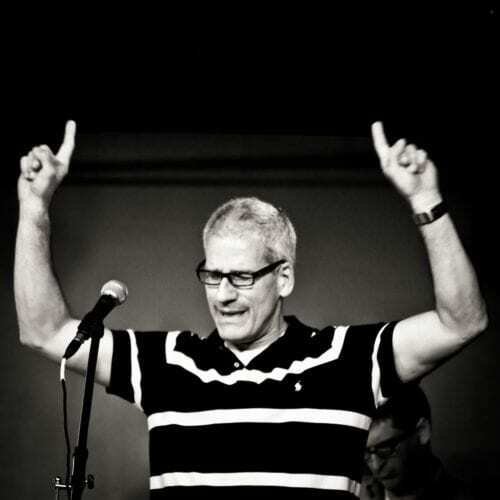 Mark resigned a lucrative career at Wyeth to become a pastor, and even at his time at Wyeth he made some unpopular stances to even the president of the company because of his personal faith. Brent’s guilt by association is a smear and absolutely unnecessary. His criticisms of Mark’s minimizing and spin are dead on, but he his blows below the belt are inaccurate, unfair, and are slimy (as 5years pointed out). Brent does not allow comments on his site for Mark to correct the record or for others to do so. Brent-you are arrogant and vindictive. If you were so bothered about Mark’s involvement in this pharmacolgy…then why didn’t you oppose him, becoming a pastor back in 1995. It was an open fact that Mark worked for this company. You owe Mark a personal apology for implying that he knowingly trained doctors to encourage abortions, it’s lie. IF Detwiler is correct in his information, and based on past experience with the man I have no reason to believe he is not, it would be difficult to believe Prater would not have a thorough knowledge of Norplant. It just doesn’t seem logical that an individual would be “training obstetricians throughout the nation on proper insertion and removal techniques” of Norplant and yet have no idea of what Norplant does. “This action arises out of plaintiff Leidy Ramirez’s (Ramirez) use of the Norplant System, a hormonal contraceptive that involves the subcutaneous insertion of six hormone-filled capsules by a healthcare provider, in this case a nurse practitioner, in the upper arm of the patient and provides up to five years of birth control protection. Based on this quote we have evidence that Wyeth Pharmaceuticals trained employees of Planned Parenthood. I would submit that this establishes ties to the abortion industry. Did Prater himself conduct training for Planned Parenthood employees? Curious minds would like to know. How does Brent know anything about Mark’s career at Wyeth? He admits to not having spoken to him about this issue. It is a side issue that diminishes his critique of Mark and SGM and is a cheap shot in my opinion. For all his documentation you’d think he would have something to back it up other than, I may ask Mark about it in the future. Yeah right….like Mark is going to take his call on this one. I personally think that Brent is using guilt by association to paint Mark inn the worst light with a half-truth that is only speculation on his part. He can do better than that, and should in my opinion. I do not know how Brent knows about Mark Prater’s career at Wyeth, but because he hasn’t spoken to Mark about the issue doesn’t necessarily mean that he can have no knowledge on the subject. I have known Brent to be very thorough in his research prior to publishing his blog posts. Many people read everything he publishes and he can’t afford to speculate. I would speculate that Brent has a source for the information he published on Mark Prater’s career at Wyeth, perhaps a former colleague. I agree with your opinion that Mark will not communicate with Brent, I am sure Brent also knows there is a very small chance of that happening, but I know Brent is sincere in his offer. I think the leadership in SGM would desire some honest answers from Mark, but then honesty doesn’t seem to be a strong suit among the current regime of SGM leadership. I knew Mark at the time this was all happening and I know people who worked for Wyeth at this same time. The time of the lawsuit is after Mark was a sales rep and during his exit from Wyeth. It would not have been hard for Brent to confirm facts,if he had desired. I could find out for certain what Mark did or didn’t know with almost certainty. The problem is, I really don’t care all that much because I think it has absolutely no bearing in the way Mark has conducted himself as President of Sovereign Grace Churches. As you know SGM and similar churches love to quote the biblical qualifications of an elder; 1 Timothy 3:2 states “The overseer then must be above reproach, the husband of one wife, temperate, self-controlled, respectable, hospitable, an able teacher,” so I would say that Mark Prater’s work at Wyeth absolutely has a bearing on his job as an elder, pastor and now president, of SGM. I have stated all along that I do not know for certain what Prater’s job entailed while at Wyeth. But if he in fact was marketing Norplant and instructing employees of Planned Parenthood on how to implant the drug I would think he would be unfit for the position of an elder. You and I are outside observers but I would think those within the SGM denomination are owed an explanation, and perhaps there is a satisfactory explanation. I simply don’t know. The fact that the lawsuit I referenced occurred after Prater had left Wyeth is not really relevant. As you know, lawsuits sometimes get to court years after the incident occurred. What is relevant is that the PP employee testified that she was instructed by Wyeth employees on how to insert Norplant. The lawsuit I quoted is just one of many lawsuits filed. You probably are not interested in pursuing this subject with Prater since you don’t believe it has a bearing on Prater’s current position of leadership. I wish you would ask him. I would like to know for certain. I understand…I guess we will just agree to disagree on this one. I do still have occasional contact with folks that worked at Wyeth and even in top leadership during this time period. I am almost certain they could provide convincing details that would also pertain to Mark. I will pass on any info if the topic ever arises. I was wrong about the paragraph above being inherently contradictory yet it does assume that a process, per the link you were kind of enough to show me, happens on a regular basis. I’m not sure everyone would agree. I’d like to see more sources about he likelihood of a fertilized egg being destroyed by Norplant. Is it one in 10 or one in 5 billion? I heard a major Evangelical leader say that birth control pills were off-limits because there was possibly a one-in-a-billion chance they could act as abortofacients. I’m not a medical expert either yet I don’t know how you could come up with a statistic like that. I do agree that the Pharmaceutical industry downplays the side effects of hormonal forms of birth control to the detriment of women. Dude, I dont know Prater and i dont go to the church you cited. Where i go to church has nothing to do with you verbally sucker-punching this guy. You’re flat out wrong and need to admit it, thats all. It is not fact that this guy has links to the abortion industry as your title states. You’ve slandered him. We’ve all slandered. I dont even think you did it intentionally. James has much to say about this. You have a chance to show Jesus love by appologizing, and you should do it. Pretty simple. Thanks for the link. I appreciate it. My concern is that if we don’t define terms consistently we end up putting a procedure like the one Norplant facilitates on par with a 3rd-term abortion, ethically-speaking. That can be a problem in my view. I am no medical or reproductive expert, but I would agree with your definitions above. I would refer you to this link to see why I think Norplant qualifies as an abortifacient. If we abide by the definitions above I don’t see how Norplant can be considered an abortifacient as it prevents an egg from being fertilized in the first place as opposed to terminating an embryo. If we define an “abortifacient” as broadly as it appears to be defined above then anything that prevents an egg from being fertilized, including spermicide and condoms, would have to go into that category, too, correct? So as Christians, those of us who shop at Walmart (which uses sweatshops) or any of the major retailers, are child abusers b/c we have bought from stores complicit in unfair child labor? So Jesus wants us to buy all our clothes from amish merchants or make them ourselves? Similiarly, if we are Christians and happen to work for the PostOffice, FedEx, or UPS we are akin or complicit to drug-dealers since they use these companies in mass. So we should end our employment and business dealings with such companies (even though it was the free-will of the dealer that chose to use such)? Can we use these companies to ship medical supplies to our missionaries (since they do business with drug-dealers)? Would Jesus be ok with that? Or would Jesus want us to ship through a smaller custom-shipper charging 10 times more (that drug-dealers may or may not use)? Would Jesus want us to ship to our missionaries via ocean cargo vessels (that drug-dealers don’t use) taking weeks/months to get there (as children/villagers suffer/die in meantime)? Similiarly, to link Prater like you have is ridiculous. Norplant is one product. Wyeth makes thousands. Is the malaria anti-viral that helps villages and Jesus’s children made by Wyeth ok? Is the Wyeth iodine water purifiers for clean drinking water ok? What about all the other medicine Wyeth makes that is a gift and blessing from God? The medicines that Jesus used made by Wyeth and others to save my wife’s life, and give my step-son a wonderful mother that he still has? Shouldn’t Prater be given credit for that? Your explanation and article is incredibly simplistic and insulting, not only to Prater but to anyone with common sense. Some of what you have written in the past about SGM over the years is valid and needed to be said, and I thank you for that. However, you are just plain mean-spirited and wrong here. Your title indicates Prater is linked to the abortion industry. You have slandered him and owe him an apology. Your link to Prater is as strong as me linking you to a murderer because you bought a backpack made from Kevlar made by DuPont and Dupont polluted lakes and streams in the 50’s that were proven to cause birth defects and premature deaths. Furthermore, many Christians disagree with you 100% as to your definition of abortion (the pill). You need to retract and apologize. No ones perfect, and you really missed it bad here. It would have been ok to ask Prater to explain himself, but as per your title you have already made up your mind b/c the quote is “Prater’s Ties to the Abortion Industry” (not possible ties, not anything non-definitive). This is no different than the dishonesty you rail against in SGM. I am not criticizing you b/c no one is perfect. Maybe you were sleep-deprived (I understand this being a 3rd shift worker) or just didn’t think it through fully. But what you have said here makes little logical sense and I know from your previous writings that you are logical, so please retract or amend as Jesus would have us do. We as readers will certainly forgive you, as we too would desire to be forgiven. We all have written or said illogical things from time to time, and hopefully have had others point such out to us. Thank you. Thanks for your comment Monkhead. Technology being what it is these days, I have found that your comment appears to have originated from the same neighborhood in Philadelphia as Covenant Fellowship Church is located. Just out of curiosity do you attend CFC? I believe the first paragraph of your comment paints the situation regarding Prater and his employment with Wyeth Pharmaceuticals with too broad a brush. I do not question the fact that Wyeth Pharmaceuticals sells many products, many of them undoubtedly very valuable, as you have noted. But my concern is with one specific product they sold, Norplant. Norplant is an abortifacient and was controversial on many grounds. Wyeth Pharmaceuticals removed the product from the market in 2002. You raise some valid questions on what stance should a Christian take regarding Walmart, the Post Office, etc., and I would think some of these issues warrant thinking through by an individual and then, based on an individuals conclusions and conscience, perhaps they should make some decisions that reflect their stance. Having said this, I don’t feel these issues are germane to my topic. According to Brent Detwiler, a man who I know to be honest and accurate, Mark Prater “led the initiative to train obstetricians throughout the nation in the proper insertion and removal techniques for the progestin only implantable contraceptive device that acted primarily as an abortifacient.” If this assertion is true, and if Mark Prater was a Christian during the time of his employment with Wyeth Pharmaceuticals (items that I admittedly do not know) then I have serious issues with Mark Prater as it relates to leadership in a church. To be working for a large pharmaceutical company selling hundreds of drugs, most of which help people in wonderful ways, is one thing. To have as your job the specific training of obstetricians in the proper insertion and removal of an abortifacient would be impossible to justify as a disciple of Christ. You stated that “It would have been ok to ask Prater to explain himself, but as per your title you have already made up your mind” I admit I am guilty of not inviting Prater to explain himself; if you are friends with him please convey to him that I am willing to publish anything he has to say to this issue. If I error in what I have stated I will apologize. So it appears Prater will also have an invitation from Detwiler to state his case. If he answers either of us, which I don’t expect he will do, or if he utilizes some other forum to speak to this issue, which is more likely, I will gladly apologize if his explanation warrants it. I do think this issue is serious enough that a Christian man in his position owes an explanation to his denomination, first and foremost, and also to the greater evangelical world. I honestly do not think a man who was involved in the promotion and sale of Norplant can claim to meet the biblical requirements of an elder. Thanks again for your comment. I hope you continue reading my blog and feel free to comment in the future. Astonishing. They placed so much emphasis on “purity”, but not on the safety of children. They placed so much on the “sanctity of life”, hired this spin-doctor for public relations. And make matters worse, they are still trying to pump pastors through and unaccredited “college” so that C.J. can have his picture taken with a bunch of “graduates” with plastic perma-grin smiles. Meanwhile, back in Gaithersburg, Harris (the Boy Wonder) is hiding behind plausible deniability. I am now convinced that God’s hand is truly set against you. 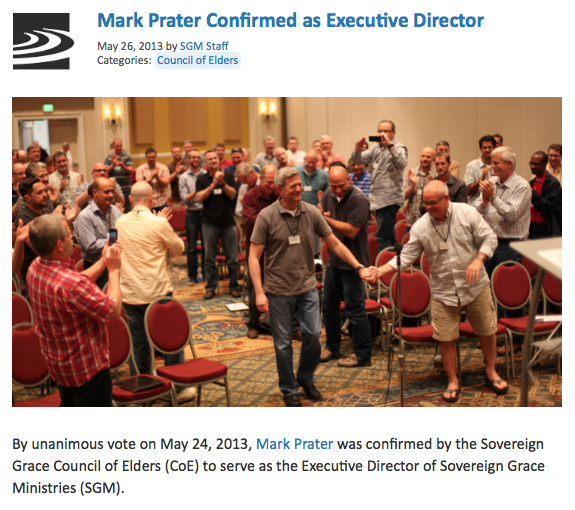 Hey Buddy!, I found this information for you: "Sovereign Grace Ministries Executive Director Mark Prater’s Ties to the Abortion Industry". Here is the website link: https://thouarttheman.org/2014/07/11/sovereign-grace-ministries-executive-director-mark-praters-ties-to-the-abortion-industry/. Thank you.